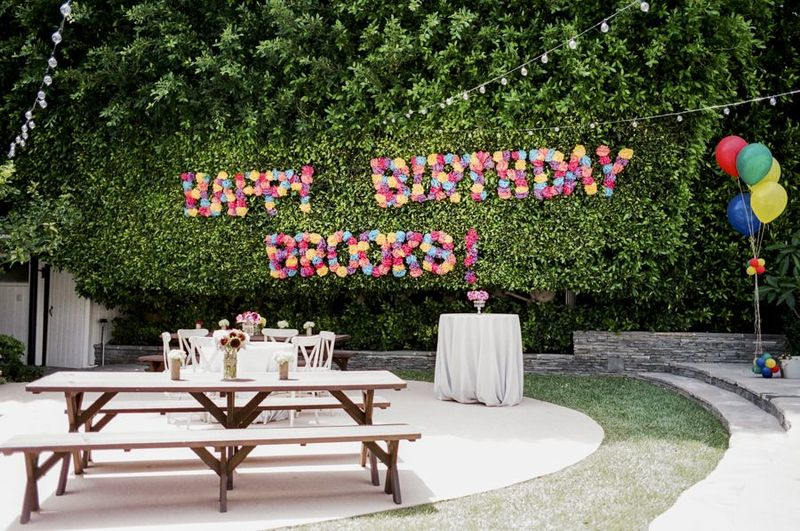 A colorful paper flower sign to welcome the guests. 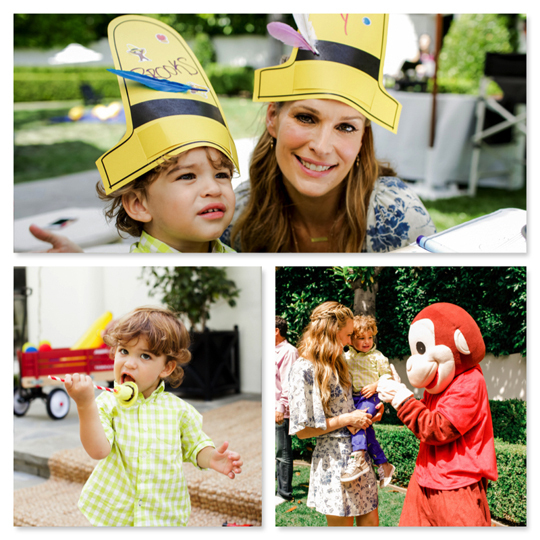 A real live Curious George! And a make-your-own yellow hat station -sponsored by Yoobi, an amazing new company that donates school supplies to classrooms. For every Yoobi product purchased, a Yoobi item will be donated to a classroom in need across the US. One of our favorite elements was a recent new discovery by the YOA team. What better to accompany a Curious George party than mini frozen bananas?! 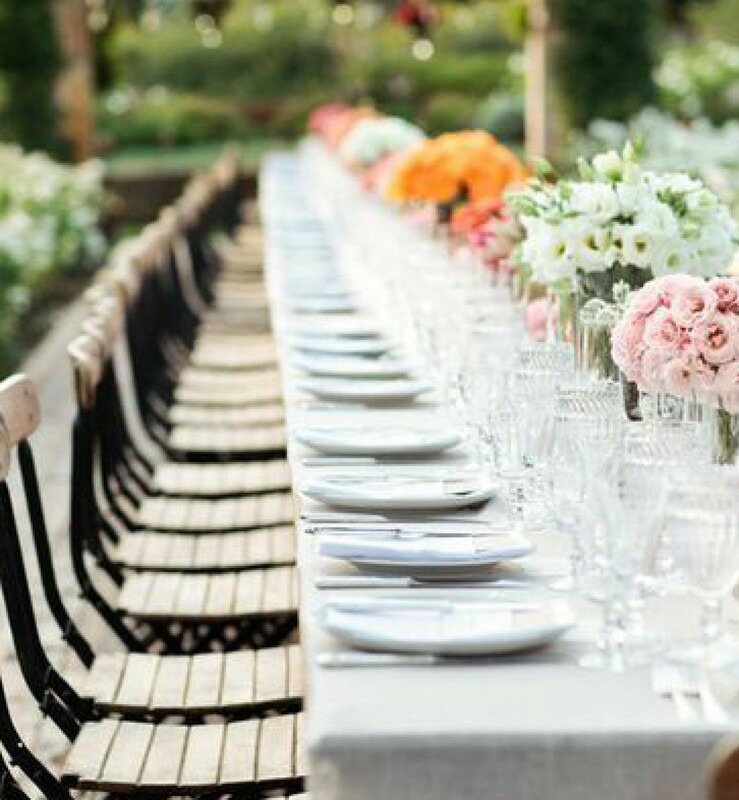 Or any party for that matter. 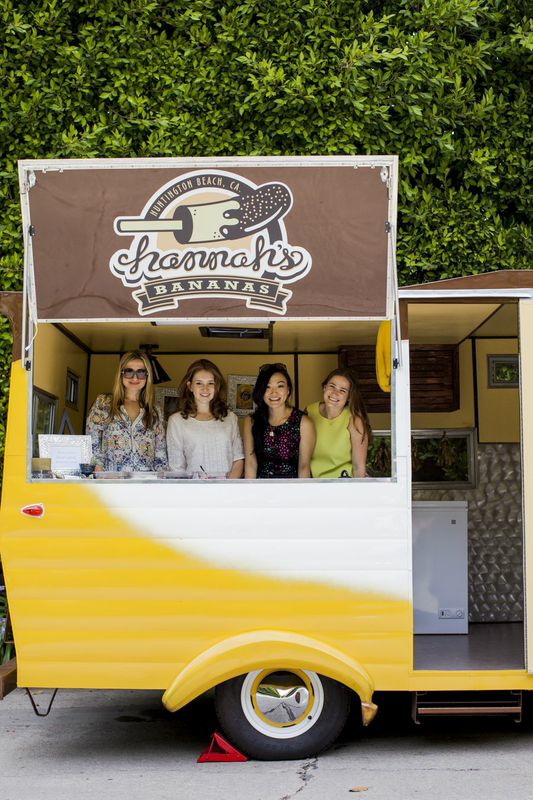 Hannah’s Bananas, a mini food truck available for private events in Los Angeles and surrounding areas, is the most adorable vintage truck, called the “Boho-Nana”, get it?? 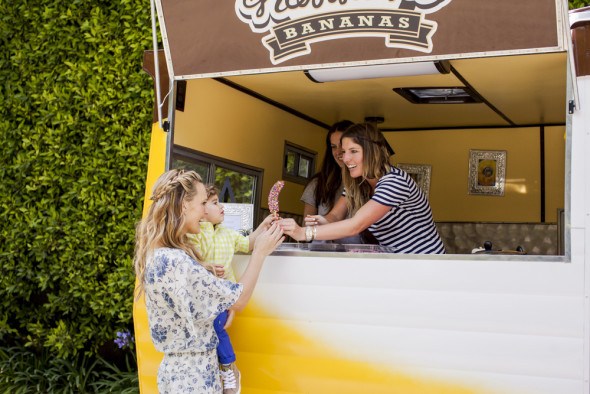 With an attached end table and banana shaped stools, Hannah’s Bananas was a hit!